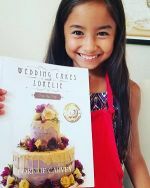 Can I use your Italian Meringue butter cream as a crumb coating over a chocolate cake before I cover the cake with fondant icing? 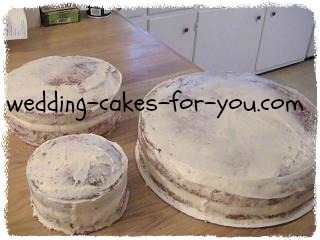 Yes you can use the Italian Meringue buttercream or as I named it wedding cake frosting as a crumb coat. 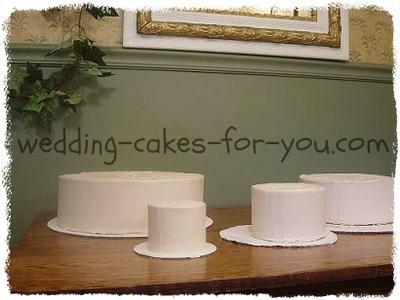 You should also frost it fully with a finish coat before using the fondant over the cake for best coverage. Hope that helps. 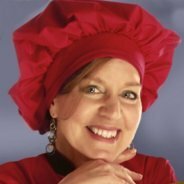 Thanks for visiting and trying out my recipes, and for asking a great question. Return to Cake Icing Questions. Thank you for getting back to me, I really am learning so much from you, but I have one more question, is a crumb coat and a finish coat one and the same thing or are they two different coats? Do I have to place a finish coat over the Italian meringue buttercream? See your answer below. I am sorry for not quite understanding your answer. Hi Ambelene, No problem at all. The finish coat is different from the crumb coat. The crumb coat is a thinner layer of buttercream to prevent the crumbs from getting into the final frosting. 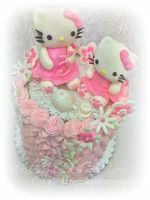 The finish coat is a thicker layer of buttercream that you either decorate with flowers and borders or in this case place fondant over. Fondant tends to show all of the imperfections under it as well as the colors. 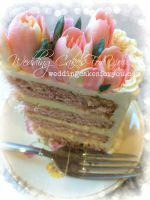 So if you have only a thin crumb coat on your cake you will see discoloration and bumps. So make sure that your final coat is nice and smooth. You can use the Italian meringue as a final coat before the fondant. Don't hesitate to ask me more if you need to. Thanks so much for coming to my website and I am so glad that you are finding it helpful. The video from my Youtube channel below might help. It shows me putting the final coat over a crumb coated cake. You can join my Channel by clicking onto the youtube icon on the video, that way you can stay updated when I add more videos. Question I have enjoyed discovering your website and reading the questions and answers. I have found them to be very helpful. I am making a wedding cake and have calculated that I need about 23 cups of icing to ice and decorate all tiers ...based on information that I got from the Wilton site. I am curious how much additional icing I will need to make for sufficient crumb coats. Is there some percentage or rule of thumb? I would like to not have to stop during the assembly process to whip up more icing! Answer I have never actually measured the amount of crumb coat amounts, believe it or not, but I would say off hand that if it takes 23 cups for your final coat then I would calculate 1/3 of that amount. So around 8 cups, make it 10 to play it safe and freeze any extra if their is leftovers. Can you let us know if this is what you end up using? It would be helpful to other readers. Next time I make a wedding cake I will calculate the amount too. We would love to see your finished cake when it's done. Can you post it and tell us a little about it? 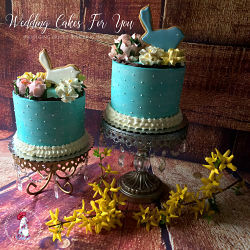 Good luck with your wedding cake! Thank you so much Lorelei for your quick response. 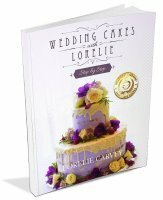 I will be making the cake for a June 12 wedding and I will certainly let you know how everything turns out with the crumb coat icing, and I will also be glad to post a picture. Your welcome. Good luck on the 12th with your cake. I am looking forward to seeing your creation. Have fun! !